Millennium Communications Group Inc. | One Point of Contact. Endless Possibilities. One Point of Contact. Endless Possibilities. Millennium Communications Group, Inc. assisted Essex County at the Veterans Courthouse in Newark, NJ with a security drill to evaluate how staff would react to a life threatening situation. Millennium was contacted by Lt. Edward Esposito, Field Operations Division / Office of Emergency Management of the sheriff’s department, to install fifteen HD IP cameras on the 11th floor for the drill. Millennium also created an observation room for local officials and Freeholders to view the drill as it took place, while also showing how cameras would operate in the courtrooms and the difference between the older analog and newer IP cameras. IP offers high quality video, remote accessibility, two-way audio, mobility within the network, and much more. For the drill, Millennium used Axis IP hi-definition cameras which allowed the clearest picture and most reliable connection. All cameras were then connected to a Genetec Security platform used to record the event. For the centralized monitoring station four 60 inch HD monitors were used to display video of the four courtrooms and hallways on the 11th floor. The existing analog cameras were also displayed on two additional monitors to show the comparison between the older analog and new IP system. The scenario was pre-determined, but not made known to staff; only that it was, in fact, a drill and that all communication during the drill must be followed by “this is a drill.” As the scenario played out, two active shooters were discovered, one male and one female; a scenario all too real for Essex County Sheriff Armando Fontoura and Judge Sallyanne Floria. The pair discussed with us briefly the fatal event that played out in 1993 when a gun was smuggled into one of the courtrooms and given to the defendant on trial. Cutting back to the current gunmen drill, a hostage situation was created to challenge law enforcement. Miscommunication was introduced over the radios to try to confuse or divert people from the task at hand. Fire alarms were even set off to add another element to the drill. Law enforcement personnel stuck to their training and were able to take control of the situation by detaining both gunmen. The Essex County Sheriff, Armando Fontoura, was very pleased with how all law enforcement personnel handled the drill. Camera’s allowed for an ID on the gunmen and the ability to see where they went while on the 11th floor. 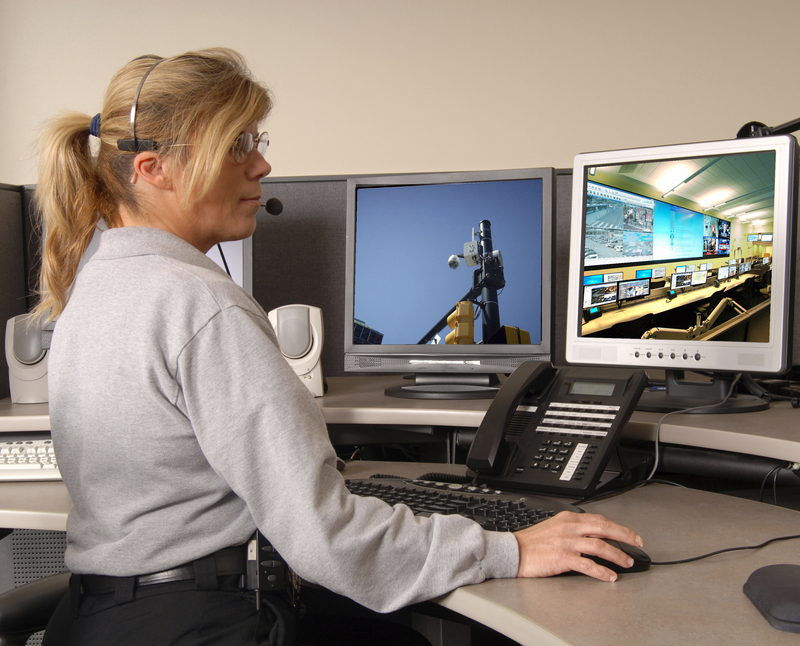 Surveillance tied into a monitoring station, similar to the one in the drill, would allow law enforcement personnel, along with the designated task force handling these situations, to have a central location to quickly defuse the situation or determine steps that must be taken to prevent further harm. The centralized viewing station also allowed officials to see how they could use their cameras to not only identify the suspects, but to also direct or warn law enforcement in the situation. The unfortunate side to all of this is we can no longer ask ourselves “what if this will happen”, but instead must ask “when will this happen.” Millennium Communications Group, Inc. was proud to take part in this exercise and would like to bring the expertise and knowledge we have in the security field to your community. Today’s world is highly digital and reliant on internet connections. Businesses would not run as efficiently without it and world economies would not thrive in the global market place without it. So how is it that we still believe our children will be able to learn and succeed without it? Our children are trying to prepare themselves for the world of tomorrow on speeds and connections of the past. In comparison to other developed countries we do not even rank in the top 10 for math, reading, science, or technological readiness. According to the EducationSuperHighway, 40 million students are being left behind and 63% of schools do not have the bandwidth they need. In order to catch up and give our children the education they deserve, we need to leverage technology. Many people will argue that digitalizing learning will hurt students in the way they learn and interact. However, digital learning actual helps to personalize each students experience making it easier for them to succeed and when students are succeeding they feel more confident in other areas like socialization. It also allows for ease in communication between students, teachers, and parents. Digital learning increases the opportunity to learn as students are not bound by their books. How do we digitalize learning? Through fiber optics. Why fiber? Fiber is the only technology with the capabilities to expand as we grow. It can be increased to meet the connectivity needs of the future beyond what we can imagine and that capacity is only improving. According to EducationSuperHighway, “…98% of schools districts will need fiber networks to meet 2018 connectivity goals.” The goal now is to get schools ahead of that curve and to make sure we do not increase the connectivity gap any more than we already have. We want to have these conversations now and give schools and towns the tools they need to be able to install and operate their own fiber optic networks. By doing so, we are empowering our students, teachers, and community. 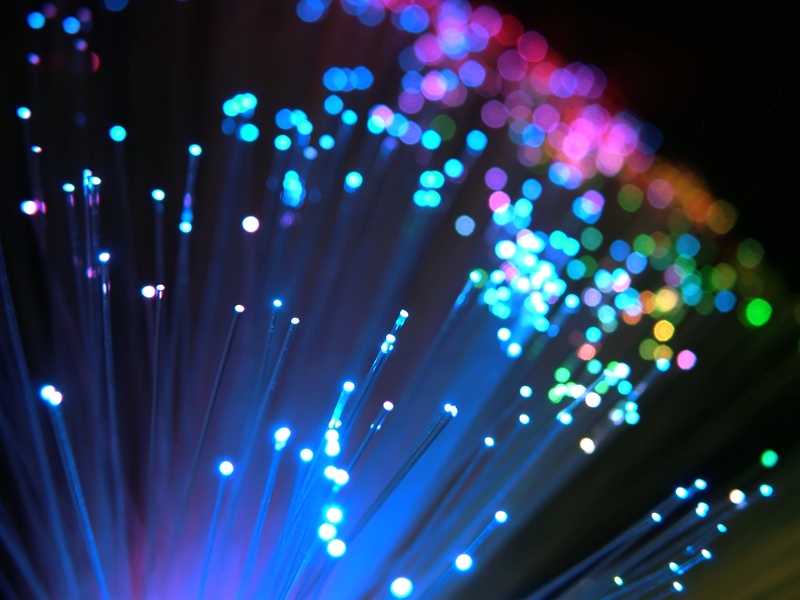 Millennium Communications Group, Inc. is at the forefront of the fiber optic world. We have been named one of the Top 100 Fiber-To-The -Home Providers 3 years in a row by Broadband Communities Magazine, we have built over 80 private fiber networks for schools, businesses, and communities, with no plans of slowing down. What makes us extremely unique is our ability to plan, design, construct, install, and manage all aspects of your fiber network. We not only hang the fiber, but can install all the products on the end of that fiber – i.e. IT, storage, security and manage it for you. If you are interested in learning more please contact us at info@millenniuminc.com. Source: “EducationSuperHighway.” Web. 09 Oct. 2015. <http://www.educationsuperhighway.org/&gt;. FOR IMMEDIATE RELEASE: Millennium Communications Group Inc. Named Top 100 FTTH Company for the third year in a row. East Hanover, NJ – Millennium Communications Group Inc., a leader in implementing fiber-to-the-home networks and associated technologies, has been named one of Broadband Communities Magazine’s Top 100 FTTH companies for the third year in a row! Connectivity is no longer a luxury it is a necessity and Millennium Communications Group is here to help connect your community. “At the beginning of a game changing transformation, there’s a vision. Millennium Communications Group has been fulfilling that vision with our customers for 20 years. When your FTTH project demands experts we’re there” said Ron Cassel, Chief Executive Officer of Millennium. Among the FTTH clients are WiredWest Communications Cooperative Corporation, a large municipal communications cooperative of 44 towns in western Massachusetts. Other clients deploying FTTH include ECFiber, a multi-town cooperative in Vermont with a unique resident-funded business model, and the town of Leverett, Mass. Millennium has much experience in fiber to the home (FTTH) networks that are controlled, operated, and owned by your community. Understandably the price of building a private fiber network may leave you shaking your head, but once you see the return on investment along with the many other benefits of ownership, you might just change your mind. FTTH networks have been known to increase home values, business opportunity, attract and retain young adults, and increase job opportunity. Another alternative that requires much less investment and risk on the communities end, is having a private company build, own, and manage the network for you. The community will still be receiving the connectivity needed at a competitive price, but would not have to worry about funding the entire project and staffing someone full time to manage the network. The community can even take it one step further and have the private company build/own a network that connects several communities making the network and operation more cost efficient; less risk, for a lifetime of rewards. In the wake of many tragic events involving school children, school security is more important than ever. As the future of our country, we need to be able to protect our children. This can be done more easily through the use of a physical security solution. Access control is the selective restricted entrance to a physical place or system. With an access control system an organization or school is able to grant or deny access to any individual trying to enter the premise. Access control tied in with visitor management control can make sure no one will be able to access a restricted area, unless allowed. With these tools an organization is able to set parameters for entry. For a school, this would be help to restrict anyone from being able to walk in without someone’s knowledge and a record of the visit. 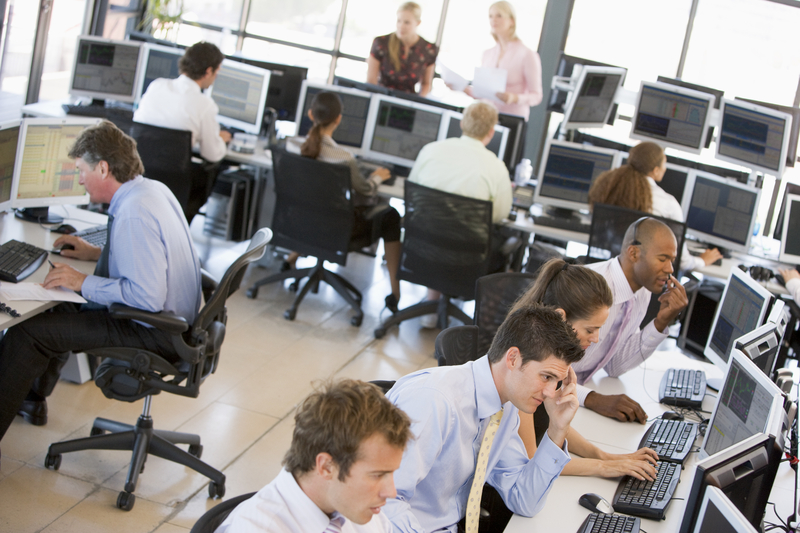 Real-time surveillance is another tool that can be used to protect an organization. The real-time solutions allows for someone to monitor and know what is happening at any given moment. It gives the organization the ability to catch burglaries, acts of violence, or suspicious persons before it is too late. With the use of high-quality cameras, facial recognition and minute details are not an issue and can help in critical situations. Central monitoring stations can help to tie in access control, visitor management, and real-time surveillance. This area will allow you to manage all of your security system from one location making it more effective and opportune for your security team. With a central monitoring station you will be able to achieve timely situational awareness, which can make a huge difference in time-sensitive situations. Another option that can help to improve your school’s security is the use of your own private fiber network. A fiber network helps to create more bandwidth to ensure you have enough to operate all of the above mentioned security solutions. A private fiber network also provides convenience for your organization since you own it and would not have to rely on public switches, which are typically the first to go in a disaster, natural or otherwise. With fiber we can constantly increase the bandwidth needed to keep up with the ever-changing technology. In addition, the network would be completely customizable to fit all of your needs. Millennium Communications Group Inc. offers extensive physical security solutions, utilizing the most advanced technology that can help your organization protect itself against threats. Send us an inquiry and we will set you up with one of our industry experts to get you started. If you are interested in more information on our solutions and services, check out our website www.millenniuminc.com or contact us at info@millenniuminc.com. Data loss is a huge threat to organizations, yet many do not protect or plan for it. Any information the organization deems an asset needs to be protected, to ensure the data is not at risk of being lost. It is possible, if the damage is bad enough, you may not be able to recover the lost data. This is the worst form of damage that can occur, but it happens because businesses lack contingency plans for such a loss. Data may be recoverable in certain instances, but it can take time and company resources to try and retrieve it. Data loss may also affect systems that reference other databases. For example, most ads created in Photoshop need the links to each image in order to display that image, without the link the image will not display and the ad will be ruined. Also, many sales databases pull from other sources, but when that data is no longer available there will be nothing to pull from causing an error. Important emails, customer information, and customer documents, if not properly backed up, can be lost and may lead you to lose a sale. This can also affect the bid process, if a computer crashes and has existing bid information, now that bid information is lost and you may miss a deadline. Productivity also takes a major hit. When data is lost it makes everyone’s jobs harder. Your staff is stressed trying to deal with the lost data. Your IT staff is stressed and pressured to try and recover the data. All of this takes time away from what normally needs to get done and requires people to focus their attention elsewhere instead of on their normal daily jobs. Lower productivity also hurts companies financially; wasted time is wasted money and opportunity. We live within an increasing global economy where customers expect you to operate all hours of the day. Downtime is not tolerated by you, your customers, or business partners. Furthermore, in extreme situations data loss can lead to an organization going out of business. In less dire situations many organizations experience idle employees and managers being unable to report on revenue or invoices. Lawsuits and fines can also be an issue, especially if the data is essential to the business, many shareholders may view that as negligence causing them to leave your company, or pull their investments. Millennium Communications Group Inc. can help. We offer extensive IT solutions and data storage solutions that can help your organization protect itself against data loss. Send us an inquiry and we will set you up with one of our industry experts to get you started. If you are interested in more information on our solutions and services check out our website www.millenniuminc.com or contact us at info@millenniuminc.com 800.677.1919. If you manufactured a product and knew it could be the most valuable item you would create in your life, would you just let someone else steal it away? Well, that is what’s happening to communities that cannot offer high speed internet to create opportunities; they are simply hemorrhaging their young adult population to areas where high speed internet is available. Many communities are looking to traditional internet service providers (ISP’s) to solve this issue, but are finding that most ISP’s are saying “no thanks” as it is simply not profitable for them to build in these communities. So, how do you get high speed internet if the ISP’s won’t build in your area? Consider building a private fiber optic network. This might seem like a costly option, but once you see the return on investment along with the many other benefits, you might just change your mind. Putting aside the fact that in order to be one of the leading countries in the world we need to offer the fastest internet available to all citizens, we need this in order to retain people and businesses in our communities, while also securing the ability to compete on a global level for future generations. A huge problem for communities that are unable to provide fast and cost efficient internet, especially rural areas, is the loss of an important resource, the young adults native to their community. Young adults are what make communities grow and create a stable living environment for the retiree generation. Without working-age people, there is no way to create enough tax revenue to pay for the things needed to protect and help all citizens. This situation will only lead to more people seeking out areas that can provide those necessities. Take Vermont for example, the exodus of young adults to more connected areas was five times the national average and by 2030 it is expected that there will only be two working-age Vermonters for every retiree, according to Arthur Woolf, an economist at the University of Vermont (Bellock). Once young adults have exposure to faster internet connectivity, and in turn more opportunity they often do not move back to areas with less than desirable internet connections. Private fiber networks can help to make these communities more attractive to young adults. Again, let’s look at Vermont which had the highest rate of students attending college out of state with most not moving back to their home state. The total number of 20- to 34-year-olds in Vermont has decreased by 19 percent since 1990 (Bellock). With the implementation of private fiber networks it is likely that more opportunities would develop, making Vermont a more desirable choice for young adults. Faster internet speed at lower costs attracts businesses to an area. More business in an area creates more job opportunities, which means more people moving into the area. More business also creates new, decent paying jobs, which drives up the living wages and will only increase the value of the community. Even if some businesses do leave for tempting tax breaks offered by bigger cities, your town will still have a long-term piece of infrastructure that will create more opportunities for your community and future generations. Every generation takes what the previous one has done and improves it, but if we just sit idly by with our current internet infrastructure we are going to be surpassed by most other nations in the world, setting our successors up for failure. Understandably the thought of building a private fiber network may leave you shaking your head, but the return on that investment is more than worth the cost, for this generation and the next. Most private fiber networks Millennium Communications Group Inc. has built have seen a return on investment in less than 3 years. In only 3 shorts years you will make back your monetary investment, and you will be able to see the soft measure ROI’s, like more businesses, new opportunities, and increased populations over several lifetimes. Additionally, with Millennium Communications Group’s experience and vast knowledge, the community may decide to partner with us to finance, own, and manage the network on your behalf; mitigating some of the risk, but keeping all the same rewards. Ready to talk fiber? Send us an inquiry and we will set you up with one of our industry experts to get you started. If you are interested in more information on private fiber optic networks check out our website www.millenniuminc.com or contact us at info@millenniuminc.com 800.677.1919. Belluck, Pam. “Vermont Losing Prized Resource As Young Depart.” The New York Times. The New York Times, 03 Mar. 2006. Web. 21 May 2015. No, we are not talking about your relaxation time; we are talking about server/router/internet down time, which can cost organizations thousands or even millions a year. DDoS is an attack where multiple corrupt systems are used to target a single system causing the denial of service (DOS). In other words, the attack is an attempt to make an online service unavailable by overwhelming it with traffic from multiple sources. DDoS attacks are costly as you can see from the above, but they can also be costly in non-monetary terms such as reputation and intellectual property. Most companies agree that loss of intellectual property is the most detrimental. DDoS attacks can be avoided by having a proactive cyber security plan in place. Prevention is not always a reality when it comes to DDoS attacks as they are very difficult to detect, but once detected certain counter measures are very important to surviving an attack. Being able to identify an attack early on is key. Familiarizing yourself with your normal inbound traffic profile is the first step in begin able to identify an attack; most DDoS attacks normally start by a sudden spike in traffic. By seeing this abnormal spike, an organization monitoring its normal traffic should be able to tell that something is up. If you are not running a marketing campaign or special offer, then a sharp spike in traffic should be an immediate red flag. Having and allowing for excess bandwidth can accommodate those sharp spikes in data whether it is legitimate or criminal. If it is criminal, this will give you a few extra minutes to act before your resources are completely exhausted. There are some technical measures that you can take in those first few minutes to help delay, or lessen the attack including: rate limit your router so your web server does not become overwhelmed, add in filters so your router can block/drop attack sources, or drop spoofed or ill formed packages, and timeout half-open connections more aggressively. While these options listed above can help, they will not fully solve the problem. Next you would need to call your ISP to let them know of the attack. They will begin to counter it, however, downtime will have already hit your organization and revenue or more would have already been affected. This is where a DDoS Specialist can come in. Millennium Communications Groups can help you plan and execute an effective, proactive DDoS plan. We use state of the art technologies to help prevent DDoS attacks and more, but are also there to divert the traffic to not interrupt your normal traffic if the DDoS attack does take place. For more information on how you can arm your company against downtime, please contact us.